The 2kg CO2 Fire Extinguisher is used on class B (Flammable Liquid) fires. 2kg CO2 fire extinguisher is safe to use on electrical fires. Because it is a gas, it has little to no cleanup and will not cause damage to the equipment. 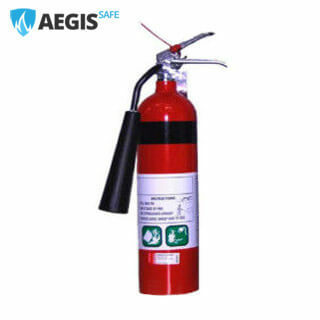 2kg CO2 fire extinguishers are made with light weight steel cylinders. 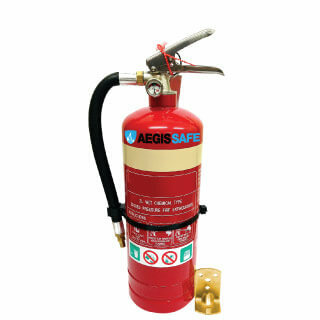 This 2kg CO2 fire extinguisher is a Global Mark Certified Product and Approved to Australian Standard AS/NZS1841.6. Availability: Some restrictions apply. See Availability section below for more details. Our 2kg CO2 Fire Extinguisher now comes with a red powder coated handle. The handle is different to the product image above.